Welcome back to 9mm! After an extended hiatus over the holiday season (and more), we'll be back with a vengeance in 2013, with a strong line-up of author interviews ahead for you. For those newer to Crime Watch, 9mm is a quickfire interview series consisting of the same nine questions (9 MurderMystery questions) put to an ongoing series of New Zealand and international crime, thriller, and mystery authors - ranging from many of the big name international bestsellers and award-winners you regularly see on any bookstore's shelves to lesser-known, on-the-rise, very cool authors you might want to give a go. Today's guest, for the 69th instalment in Crime Watch's 9mm series, is New York Times #1 bestselling suspense novelist Lisa Gardner, a terrific author known for her series starring Boston cop DD Warren (played by the excellent Carla Gugino in a TV movie adaptation of HIDE), her standalone thrillers, and a successful career in romantic suspense, before she moved to the 'darker side'. I first read Gardner a couple of years ago, and have several of her books on my TBR shelf. CATCH ME was one of my favourite thrillers of last year - I particularly enjoy the way Gardner has really strong, yet flawed, female leads. Unfortunately, I've found that some authors make their female characters near-infallible 'superwomen' - gorgeous, talented, always right, having to put up with everyone else not being right or not believing them, etc - which for me, isn't nearly as interesting or believable as fully rounded characters who try their best but don't always succeed, who make choices that aren't always good ones. Who are human. Gardner seems to have a particular knack for creating this latter (and for me, preferred) type of character - from her strong female leads to other characters in her books, to other charatcters. When we were chatting, she mentioned that character has always been the most important thing for her as a writer, and that it was plotting that she had to work most on as she moved from romantic suspense to crime thrillers. Gardner was an absolute treat to talk to - she's really engaging, intelligent and fun, and laughs easily and often. I am writing a feature on her for an upcoming issue of the Weekend Herald - so keep an eye out for that too in the next couple of weeks. But that's enough from me - you want to hear from Gardner herself, right? 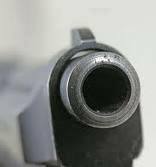 So let's get her staring down the barrel of 9mm. Jack Reacher: escapism – the solutions are always brutally violent. In an age of complex issues, it’s nice sometimes when the solution is just, you know, the right hook (laughing). And he is likeable. MM Kaye’s THE FAR PAVILIONS. It’s such a sweeping historical saga, very adventure-based, action-based, because of the revolution that was going on, or the uprising, in India against the British. With just this beautiful love story as well; but it’s a page-turner, there’s so much going on, and you’re so captivated by time and place and these people. You just couldn’t stop reading – which is good, because it goes on for 1,300 pages. 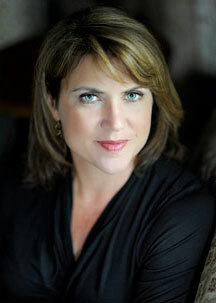 I started my career in romantic suspense, and wrote my first book when I was 17. So I don’t have a lot of other material. Definitely I’ve always been kind of ‘a dark, stormy night, drop a dead body in’, and see what ensues from there. I’m an outdoors person. My husband and I live in the mountains of New Hampshire. I was snow-shoeing yesterday, and it was just gorgeous out. Should I mention that we’re dying to come to New Zealand, because you want to talk about some great places to go hiking! If I’m not bent over a computer typing, you’ll generally find me outside. Where I live, we are a huge tourist destination, so there’s so many things to do. I’d go to the top of Mt Washington: the views are extraordinary, it’s a great hike, there’s history up there – including one of the old original inns, and you know, hiking up, or now you can drive up or take a train up, but imagine the days when they were taking horse-drawn carriages, and the women were hiking in about 55 pounds of clothing and skirts and stuff (chuckling), it just blows your mind! Um, jeez... I’m going to go with Catherine Zeta-Jones, because I just saw her being interviewed on Ellen like two hours ago, so she’s at the top of my mind (laughing). And she’s beautiful and she has a great accent, and I’m not necessarily any of those things, but dammit, in the movies you can go with your fantasies, so that’s where I’m at! LIVE TO TELL will probably always be the novel closest to my heart. Because it was so difficult, and because it’s one of the only books I’ve written that was inspired by a true crime that happened to someone I knew. So there was a much more personal connection with the plot, and just this compelling need to tell the story of these mentally ill children and their families. And what is it like to be a good parent with all the hopes and dreams in the world, and then your four-year-old son is telling you that the voices are telling me to kill people? There’s nothing in life that sets you up for that. I remember when I was on a book tour for ALONE, which had a police sniper, Bobby Dodge, and having this guy in the crowd who clearly was a conspiracy theorist. And he would just not let up that I had somehow worked with the SWAT team of the Boston Police to make shooting of innocent people look glorious... I couldn’t even really describe everything, but he did basically ruin the book signing at a certain point (laughing). And no-one really knows what to do, and it just got more and more bizarre. I have had people confuse me with Lisa Jackson, and that happens with enough regularity, I just don’t even blink and sign ‘Lisa Jackson’ (laughing). To read more about Gardner and her books, check out her website here. 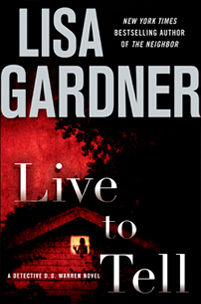 Have you read any of Lisa Gardner's books, crime fiction or romantic suspense? Have you watched the TV adaptation of HIDE? Do you enjoy novels that combine exciting, twisting plots with social issues and great characters? Comments welcome. Lisa is so right about her being mistaken for Lisa Jackson. I do it every time Lisa Gardner has a new book sold in.